Removes stubborn dirt at an operating temperature of 38°C. It can be used with a spray, brush or by immersion. 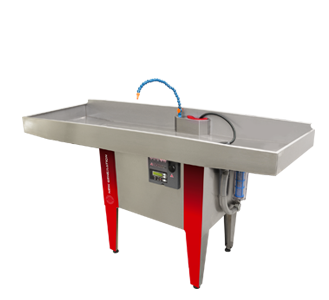 The efficiency of the washing solution is kept constant by the activity of the microorganisms in the solution, which break down dirt and prolong the life of the detergent. Biopower System is a solution developed in accordance with the highest quality standards for materials and structural strength, the ideal system for professional washing of metal parts. A whole range of Biopower System solutions provides a solution for all washing requirements. 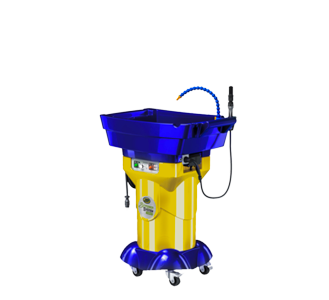 The stainless steel or polyethylene structure accommodates washing solutions of up to 100 litres, maximum dimensions of 160 x 70 cm and a load capacity of up to 200 kg. Guaranteed cost and consumption control. 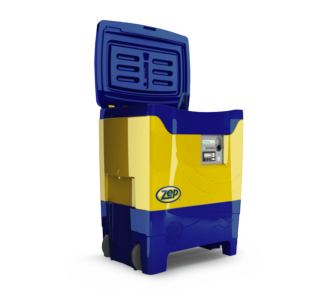 No need for frequent changes of the detergent bath, thanks to the maintenance activity of microorganisms. Minimises waste and contributes to environmental protection.